Maintain a quality service environment for your customers with a staff paging system. Staff pagers allow you to quickly notify employees when customers are ready to be served or need help. 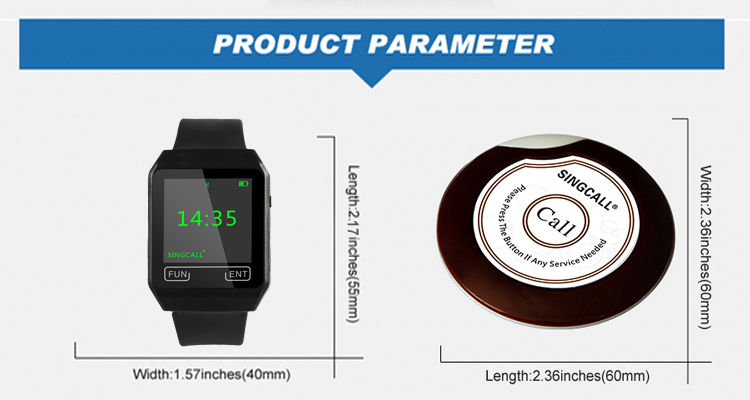 Waiter call pagers keep your staff where they need to be – tending to your customers – by giving you the control you need to ensure tasks are tended to in a timely manner.Connect staff and management with restaurant server pagers, and increase speed of service. Wireless call waiters waitress system is widely used in the service area. 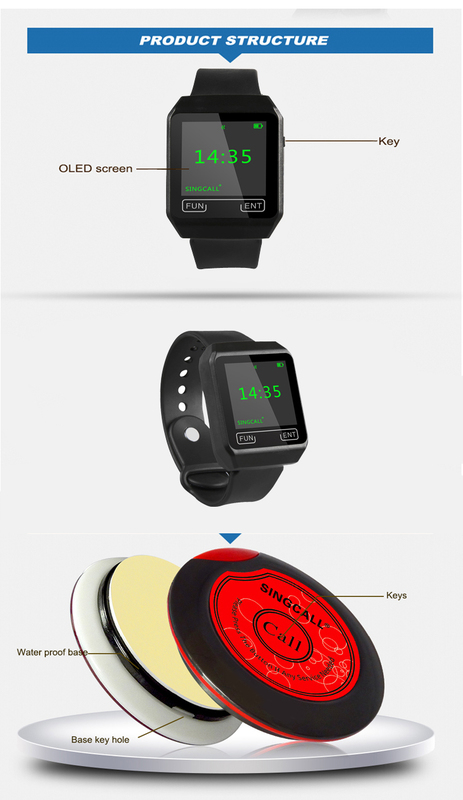 service bell includes the button for guests to use and the signal receiver for waiters to use. When the guest is in need, he or she just presses the button near him or her, his or her desk number will be displayed with music or vibration. 1. Big color OLED screen, anti-seismic and knock, can bear low temperature,self-luminous, big visual angle, can see the information clearly whether the light is strong or weak. 2. The text has kinds of colors to choose. 3. With fast delete function, can delete the single information or all information by one button. 4. Assorted with software(extra charged if you need), users can define the showing information and advertisement information. 6. Rechargeable design, avoiding the trouble of changing batteries frequently, long stand-by time (about 10 days). 7. With encryption function, avoiding information lost by mistake operation. 8.With a 399 call extension,being displayed in figures and English letters. 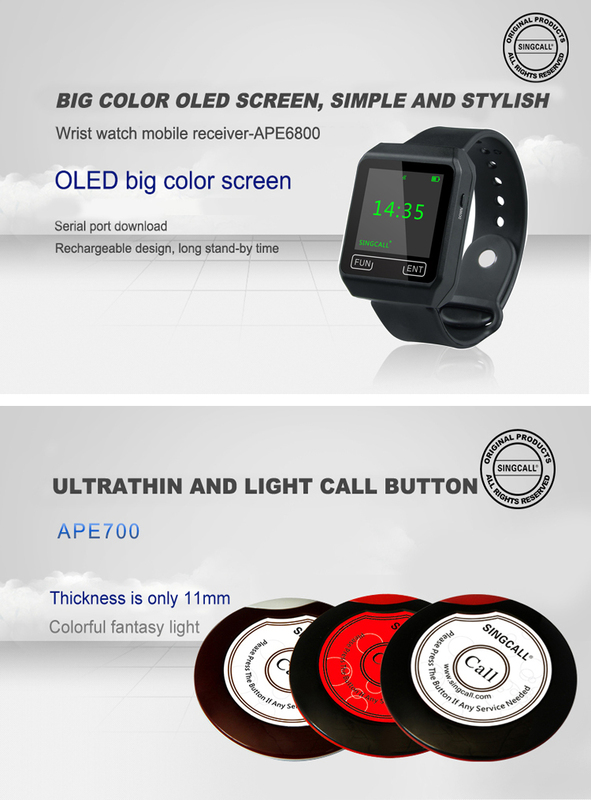 The wireless singcall system of APE700 is a new concept of ultra-thin flying saucer pager, with the thickness of only 0.85cm. Restaurant, Cafe, Fast Food Restaurant, Hotel, Golf Club, Bar, Night Club, Internet Cafe, Game Room, Karaoke, Hospital, Factory, Office, Anywhere needs attention of waiter. Have you ever been in a situation that you are ready to take your order in a restaurant but cannot find the waiter or waitress anywhere? 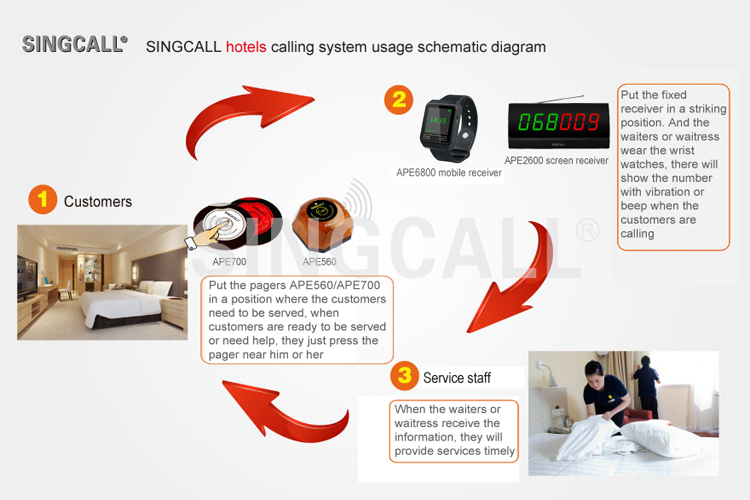 The wireless attendant or server call paging system can solve your problem. The product is qualified and has passed the quality inspection. 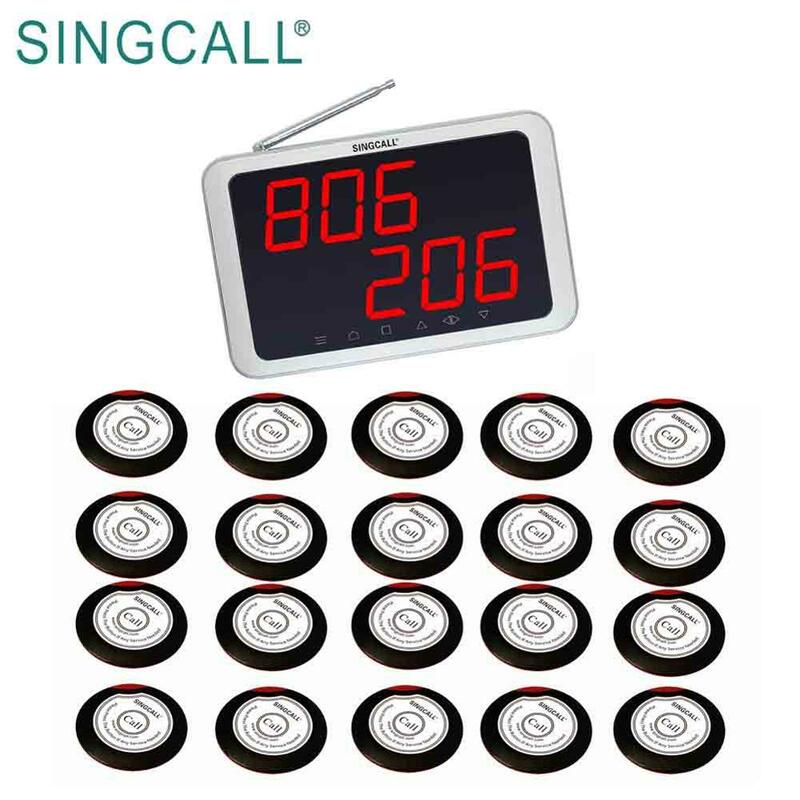 If SINGCALL products are broken or they don’t work, please contact our after-sale service department. Additional return policy details: Shipping charges will be deducted when refund. Attention: If you have any problems, Please contact me FIRST before you leave feedback. We offer good service, we will resend or refund. A: Yes, we can customized your logo. 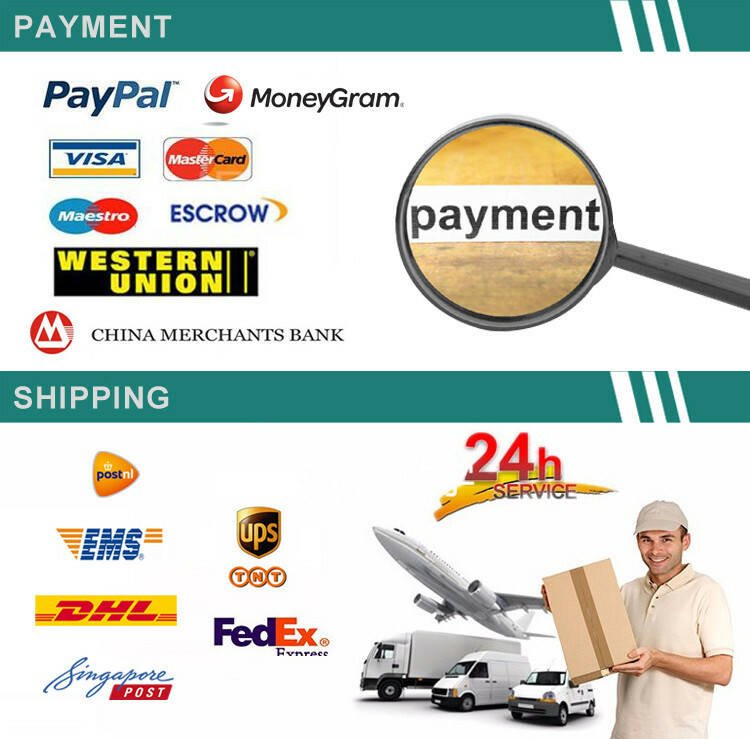 But the quantity of the items have special requirements. 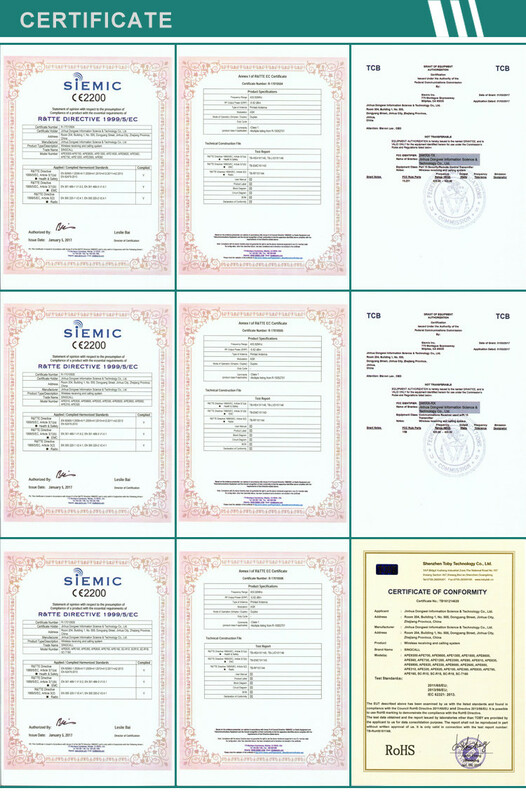 Q: What certifications do SINGCALL products have? A:Normally, it is shipped with three days after payment received.